High durability water resistant textile and fine art screen printing emulsion. CPS Ultra Coat® 200 is the most durable water resistant and hazard label free emulsion in the range. Used by screen printers of plastisol, water based and discharge inks to print onto garments, jute bags, wallpapers and fine arts. 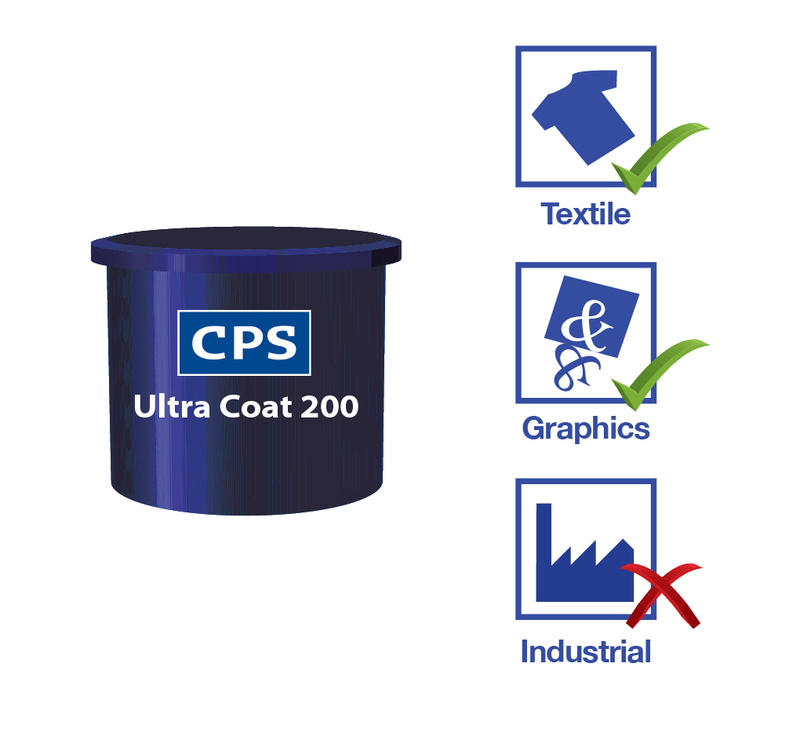 CPS Ultra Coat® 200 is the most durable water resistant and hazard label free emulsion in the range. Used by screen printers of plastisol, water based and discharge inks to print onto garments, jute bags, wallpapers and fine arts. 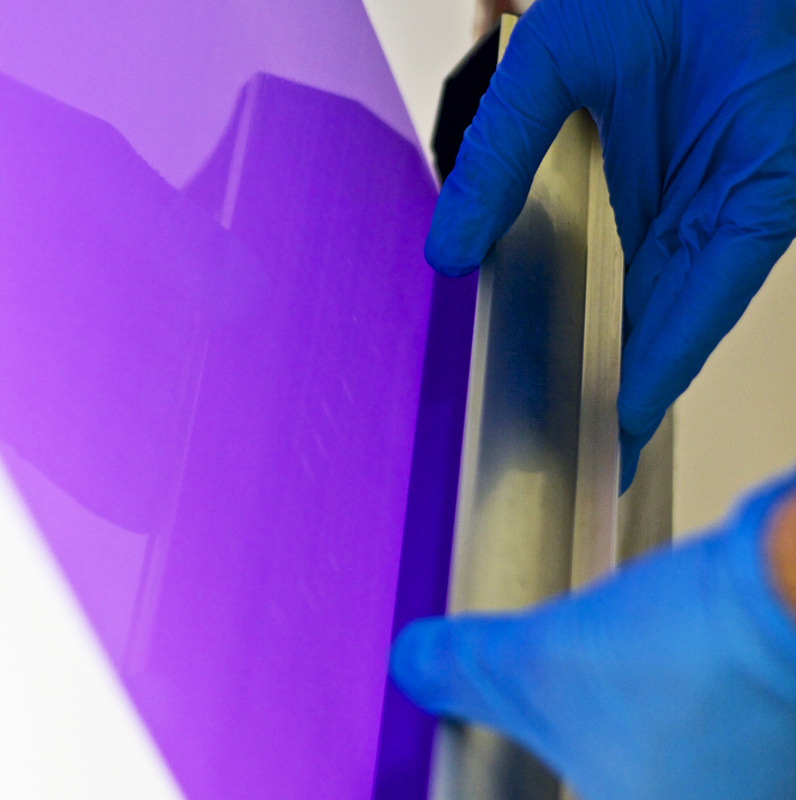 CPS Ultracoat® 200 is recommended for all applications requiring high durability with water based inks or for long print runs. Not suitable for solvent based inks. Used by screen printers of plastisol, water based and discharge inks to print onto garments, jute bags, wallpapers and fine arts. Available in trade packs of 4 x 0.9Kg (+ diazo) and 2 x 4.5Kg (+ diazo) and 200Kg drums. Screen printers of textiles, t-shirts, apparel, tea towels, garments, jute bags, wallpapers and fine arts. * Screen printers of water based inks onto Jute bags have found this to be a very durable emulsion. 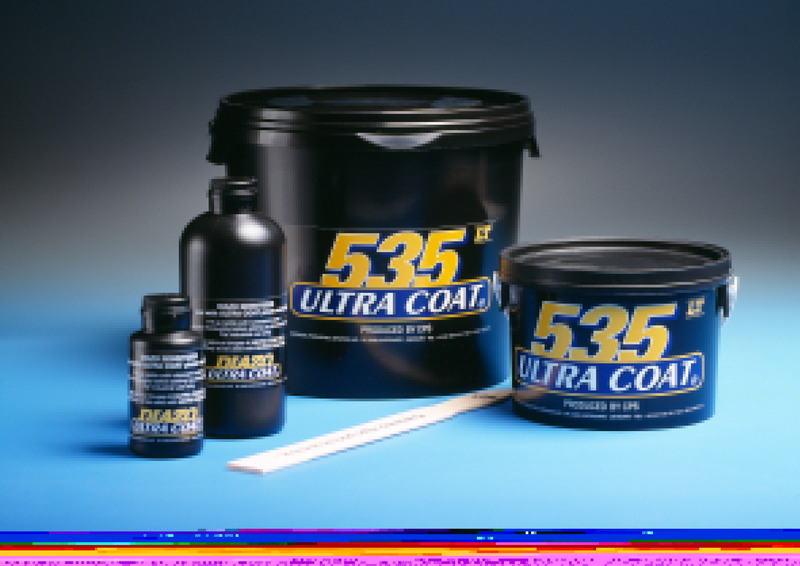 * Long print runs with discharge inks may require the stencil to be hardened with Ultra Coat Catalyst.